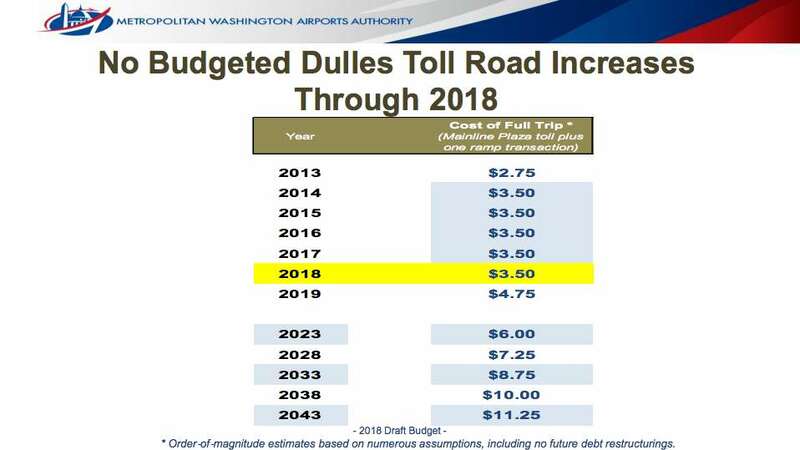 Users of the Dulles Toll Road can expect to pay more in 2019, according to a 2018 draft budget presented to the Metropolitan Washington Airports Authority Board today. No increase from the $3.50 toll ($2.50 at the plaza and $1 at the ramp) is planned in 2018; however, it is expected to jump to $4.75 the following year. Numbers presented by the Board’s Finance Committee show that is only the beginning of the hikes. In 2023, the toll is projected to go up to $6. Additional jumps of $1.25 or more are projected every five years for the following two decades, resulting in an $11.25 toll in 2043. The toll last increased in 2014, when it went up from $2.75 to the current rate. It steadily increased each year from 2010 to 2014. Prior to that, the toll was $1.25 (75 cents at the plaza and 50 cents at the ramp). Tolls are used in part by MWAA to help fund the expansion of Metro’s Silver Line. 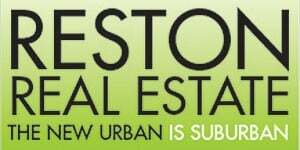 Nearly half the cost of the construction, about $2.8 billion, is being paid by Toll Road fees.